I grew up loving my greens and vegetarian beehoon such as the homeground Tiong Bahru Food Centre. Little did I realize that greens can be anything more than just salads, stir fry vegetables or 斋儿. Only until I tried Greendot's bento sets four years ago.. Since then, my friend, also one of the founders of the eatery, has been giving more and more surprises to its fans. 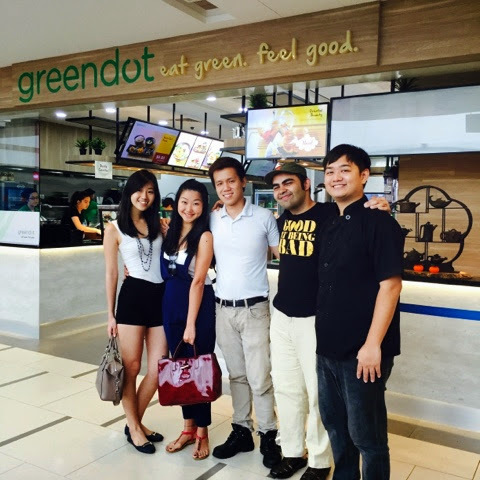 Me, being one of Greendot's loyal customer, is highly hopeful that one day, the business will grow... BIG. 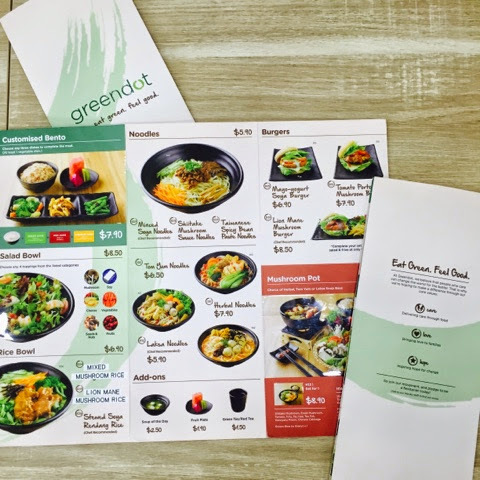 Checked out Greendot at Paya Lebar Square today and I must say, i never made any better decision than going there for the food. With my pretty girlfriend, we both love their food! 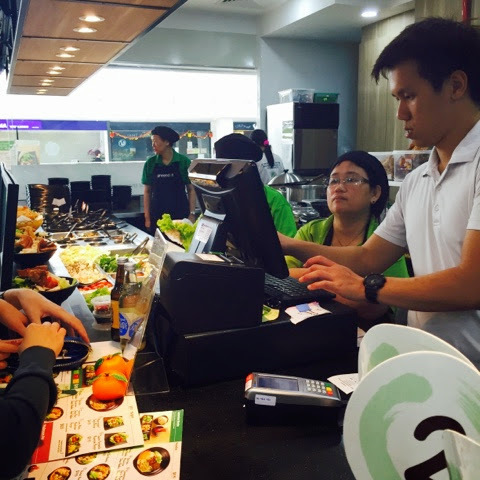 Order your food from the counter and pay at the end of the counter. Bento sets can be taken right away and the rest will be served to you. I like the whole look and feel as you step into the restaurant. You will be greeted by friendly staffs which makes the place very homely. Bistro-like concept with wooden interiors and furniture make it even more complete. I heard the lightings are different day and night, so I am thinking about my second trip soon! 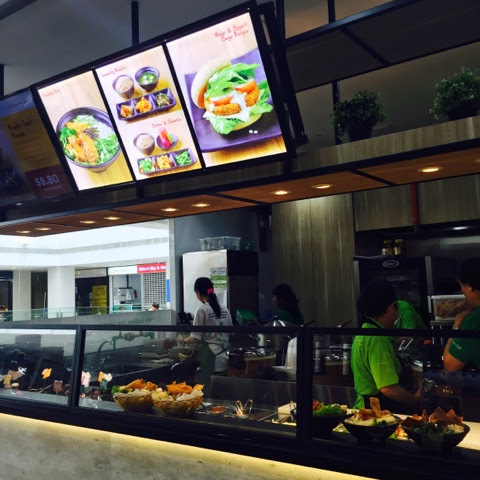 Expect to see a crowd because the concept has already drawn people's attention since their second latest outlet at Bedok Mall. 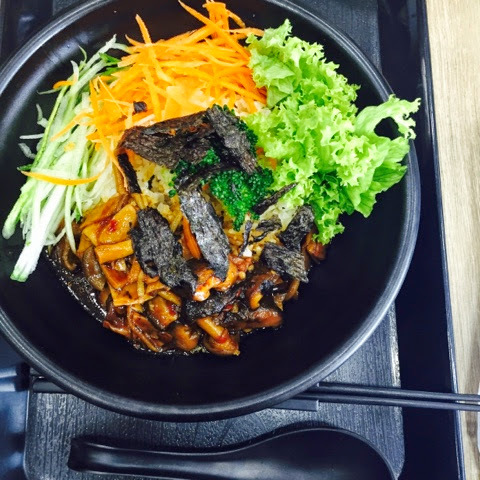 The founders are known to be very people centric and hires their like-minded staffs from very varied backgrounds with a heart to serve and a love for eating good. Moving into the food.. 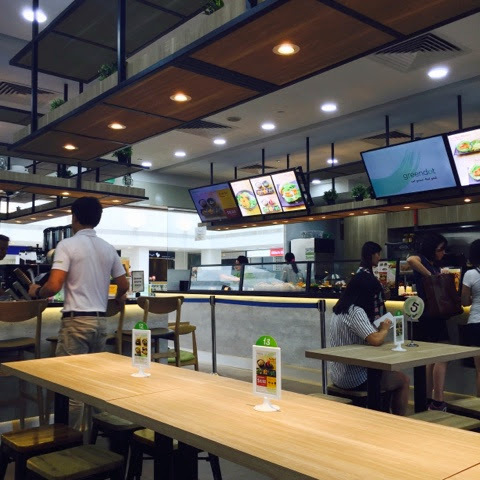 If you have followed my blog, I actually did a write up of the Bedok Mall's outlet. This cafe offers much more variety! Check out the menu below. 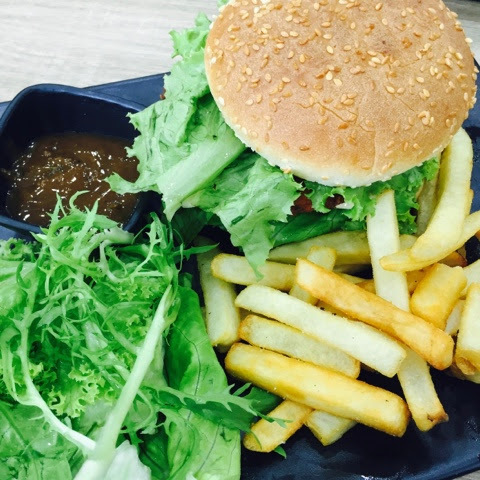 Lion mane mushroom burger above comes with chunky fries will blow you away. This is a delish. Unlike other vegan burgers, the petty is loaded with goodness from mushrooms. You will not be able to tell there's no meat inside. 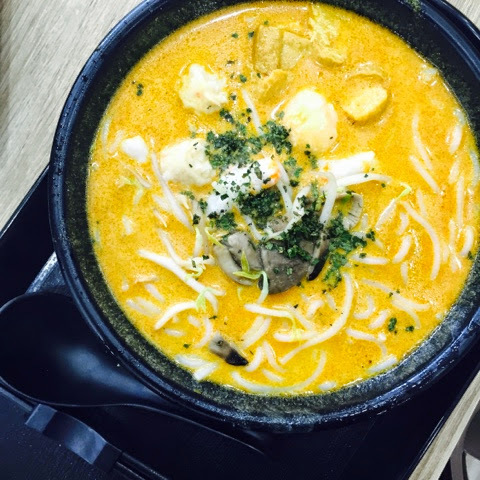 Their laksa gravy is rich with flavour. It is no wonder that this is an all time FAVOURITE (at least for my friends and I). You will see pieces of 'prawns' made from konnyaku. This stir fry mixed mushrooms rice is new on the menu. Decided to give it a try and we did not regret. The goodness from the mushroom sauce blends great with the brown rice. Something like a Lu Rou Fan from Taiwan. I'd give up meat for this anytime. Finally, herbal hotpot for one. It didn't come in a pot but soup is refillable. 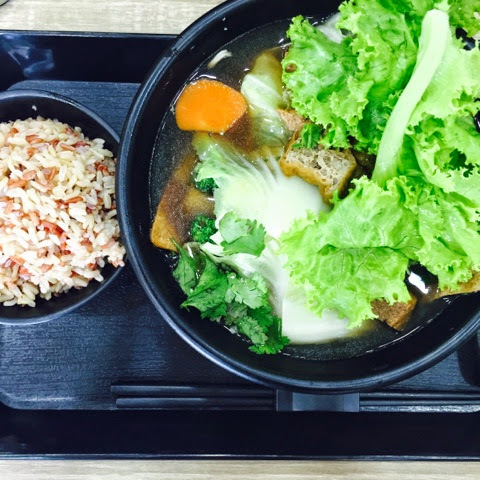 Choose from a total of three different soup base: Tom yum, laksa or herbal. Similar to Yong tau fu just that there's more vegetables and tawpok. I have mostly these in my YTF normally so this one is surely better because of the comforting soup base that goes with the ingredients. You might also want to check out their fridge of cakes and frozen/ pre packed foods. 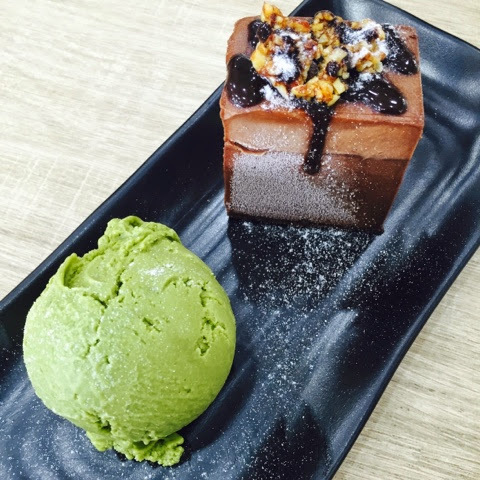 We had the mudpie that comes with caramelised almonds and green tea ice cream. We were so full but always have room for desserts. 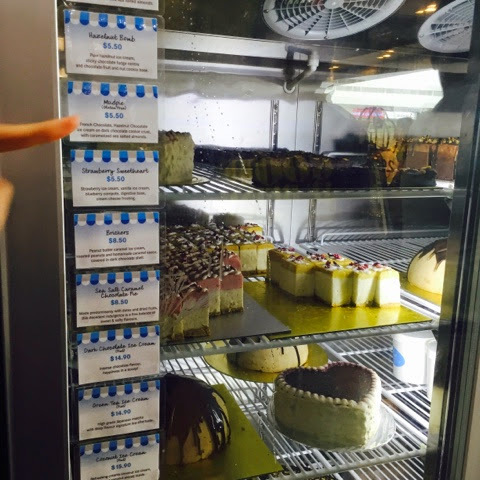 They got them from Brownice and their cakes and ice creams are dairy free! With the founders in the photo below. Keep a look out for these budding stars as they continue to expand and encourage the young to eat healthily! The next outlet will be opening soon at... It's a secret. 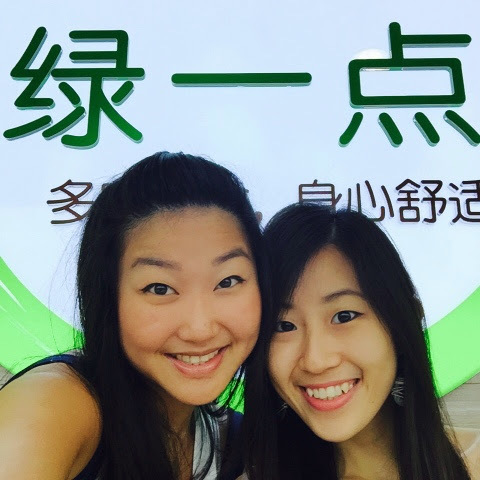 Go ask yourself when visiting Greendot! Alight at Paya Lebar MRT, exit A.